Boonie Hats also known as Bush Hats & are best known to be worn in the Armed Forces, but have been adopted by civilians for everyday use. The Boonie hat is perfect for rain or shine and its wide brim will be sure to protect you from water and sun. The Boonie has branch loops on the top of the hat for soldiers to be able to Camouflage better in hunting & camping conditions. 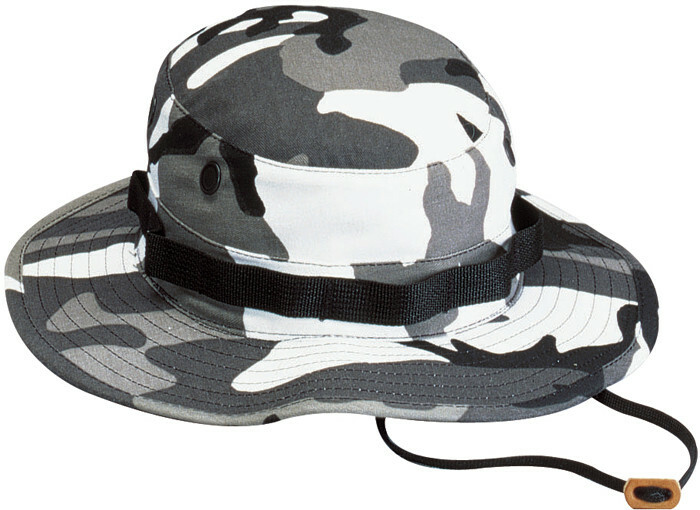 People have begun to buy the Boonie Military Hat outside of the military for a few reasons like to use the wide brim to protect them from the strong sun during the day. Hunters use this hat for pretty much the same reason as the Armed Forces. It is because they may buy a Camouflage color and blend in with their environment in an attempt to evade their prey. The Boonie hat is a cheap hat that's affordable, but at the same is durable so you know it will last for a long time. They are comfortable as well & make a great men hat or women hat. 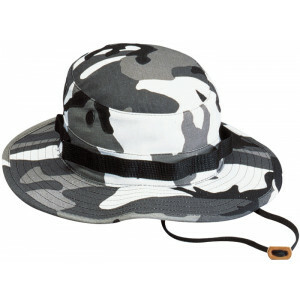 Some Bush Hats are made specifically to match the BDUs that are sold as well. You can wear them as a complete outfit for when you want to go into the wilderness.